There are a number of different types of electric fence conductors available, and knowing which one to choose can be a bit tricky for those new to electric fencing. This overview of the different electric fencing conductor wires, and the benefits of each, will help you choose the most suitable type for your application. Electric poly tape is highly visible, strong, can withstand all weather conditions, and won’t rust. It’s available in a variety of colors (white, brown, and green), making it easy to choose a color that best suits your conditions. White tape is more visible against green vegetation or brown landscape, whereas brown or green tape is more visible against a snow background. Electric poly tape is available in three different widths – 12, 20 and 40mm – with each width being better suited for different applications. Because of its enhanced visibility and superior strength, the 40-mm tape is recommended for perimeter fences, but it’s not the best solution in areas that experience strong winds – in these situations, poly rope would make a better choice for perimeter fencing. The 20 or 12-mm tape are better suited for use in windy areas as their thinner width provides less resistance to winds, and thus are less inclined to suffer wind damage. The width of the poly tape does affect the price, with wider tape costing more. Electric poly wire fencing lacks the strength of steel wire fencing but it won’t rust and is more visible to animals. It’s suitable for containing animals that don’t move too quickly, such as sheep or cattle, rather than horses, which move much faster. As it’s available on a reel, it provides a convenient option for temporary fencing solutions, such as strip grazing, and also offers a cost-effective option for subdividing pastures. Electric poly rope fencing is much thicker than poly wire and is reinforced with stainless steel woven throughout the rope, making it both robust and a highly effective conductor. Like poly tape, it’s available in a range of color options to make it more visible, and won’t rust. Because of its superior strength and conductivity, poly rope is very effective for constructing perimeter fencing to contain horses. Because of its much thinner profile than 40-mm poly tape, it offers the best solution for perimeter fencing in windy conditions. 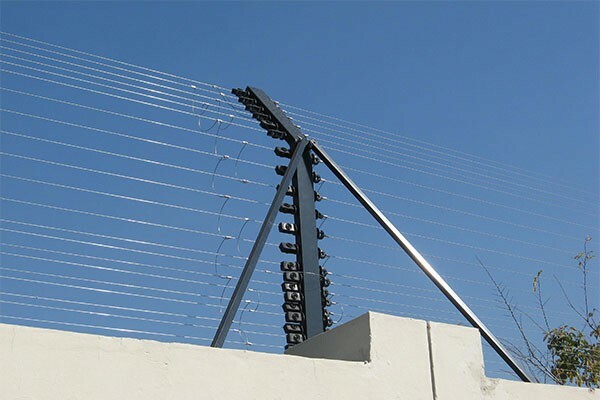 Electrified high-tensile wire fencing may be your best option if you want to construct permanent fences over a large area. However, as wire fences don’t give like a poly tape or poly rope fence, high-tensile wire fencing isn’t suitable for fast-moving animals, such as horses, who could succumb to serious injury if they run into the wire at speed. High-tensile wire is available in two options: galvanized steel and aluminum. Both are strong, hard-wearing, and low maintenance, and are a good choice for constructing perimeter fences to contain slow animals. Galvanized steel offers an economic solution that will effectively carry an electric charge long distances. Aluminum offers superior conducting capabilities – four times as much as galvanized steel, and generally comes with a lifetime warranty. However, it tends to be more expensive than steel wire. 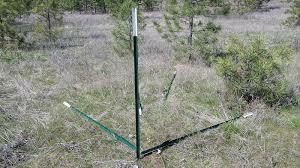 Electric fencing offers a convenient and cost effective method of containing livestock. Choose the electric wire that best meets your requirements to ensure that you have the most effective conductor for your application to save yourself unnecessary expense later.